← A cool place named Oxley. Yeah, O-x-l-e-y. From a Sentry Box, to Postmasters’ homes, from General Stores and Shoe Stores to the current Sandwich Post Office, Sandwich certainly has had its share of different post office locations. As with most small towns, the post office in Sandwich was once the place to get all the gossip. You could pick up your mail and spread the news, in one convenient stop. Back in those days, the Postmaster was held in high esteem. 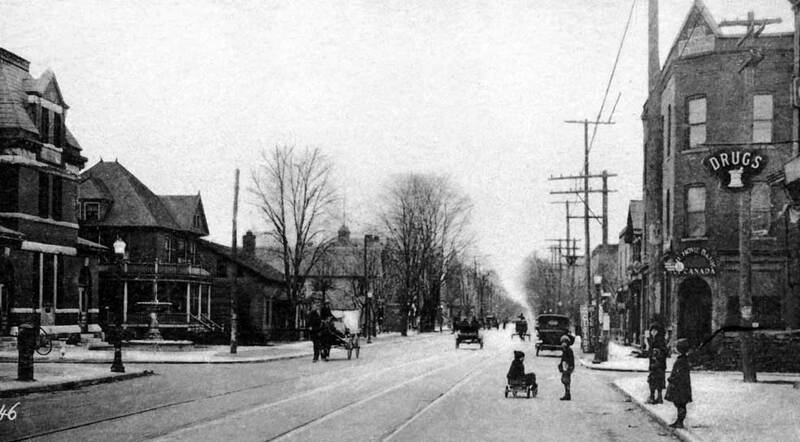 After all, he was responsible for the delivery of the town’s mail, bringing news from other parts of Canada — or the world — to the town folk, sort of like an 19th century version of Peter Mansbridge. During Hands’ term as Postmaster, he ran it from his home, built in 1780. (Too bad it was torn down years ago.) 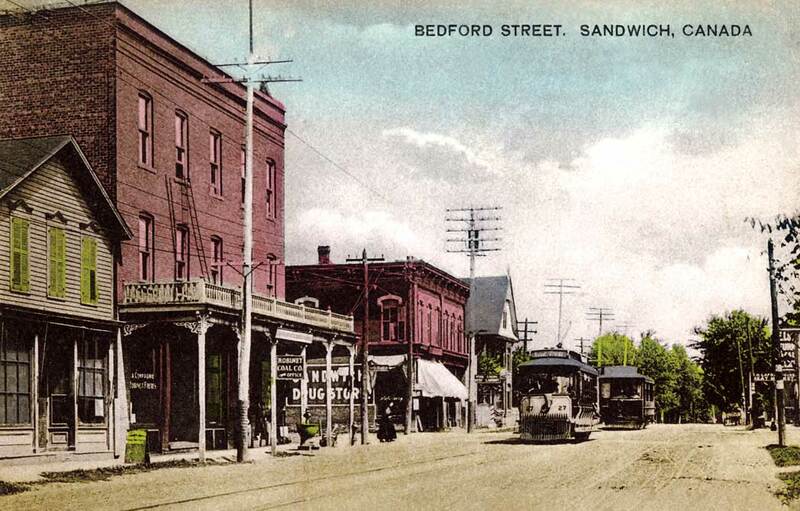 This very first Sandwich Post Office was located on Main Street (now Sandwich Street) at the north end of town. Close to the street were a gate and a “Sentry box” type hut, where town folk picked up and dropped off their mail. After Hands’ death, the position was given to George Gentle in 1834. (Great name.) He operated a General Store and post office, across the street from the Courthouse (now Mackenzie Hall Cultural Centre). Edward Holland was the Postmaster from 1838 until his death Feb.7, 1843. This post office was at his residence on the corner of Mill and Peter. Next was Pierre Hector Morin who kept the post office in the William G. Hall building, at Lot 5, East Bedford Street. Calixte St. Louis took charge of the post office in 1865 and retired in 1881 when Victor Ouellette became Postmaster and ran it from several locations, including the McKee building, Clarke Bros Shoe Store and the Girardot building at the northwest corner of Mill and Sandwich (replaced by a modern government building). The words POST OFFICE could be seen in the step on the south side of the building at the doorway. On August 8, 1885, John Spiers received the appointment of postmaster, held until June 1, 1907. He kept the post office in his general store, which was on the northeast corner of Sandiwch and Mill, and is now The Mill tavern. 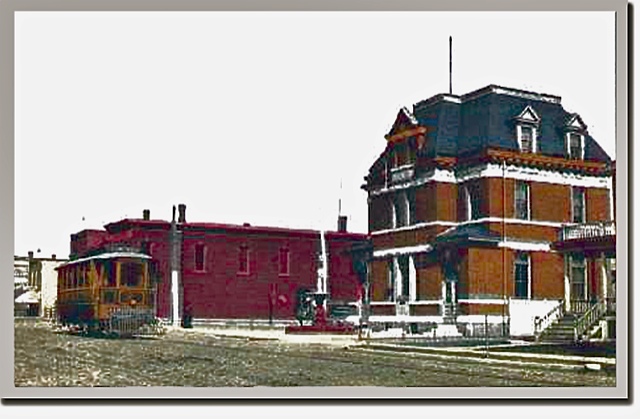 The Dominion Government secured a permanent home for the Sandwich Post Office in 1907 on the southeast corner of Mill and Sandwich. This brick and stone three-story building was erected at a cost of $15,000. Mr. Spiers and Miss Jessie Spiers were postmaster and postmistress, respectively. The Honourable R.F. Sutherland K.C. M.P. was chiefly responsible for securing the monies needed to build the post office. The second-floor apartments were for Inland Revenue & Customs House. John McLean was the Customs Inspector; John Mcleod was appointed janitor and lived with his family on the third floor. During the Sandwich Old Boys’ Reunion, held in August 1909, a former town resident, William Leech, donated that large fountain in the front of the post office. Despite attempts to close the post office in recent years, it still continues to operate out of this beautiful old building. Look for History Babe and Chris Edwards too. We will be having a sale and signing of our latest history books, “Windsor Then” and “500 Ways You Know You’re From Windsor” in the vendor area on Saturday and Sunday. Check our books out at walkerville.com. This entry was posted in Essex County, Lost Buildings, People, Windsor Now, Windsor Then and tagged architecture, demolished, festival, heritage, history, Postmaster, Postmistress, Sandwich, William Hands, Windsor. Bookmark the permalink.